It can be hard to find a meaningful and practical gift for an early arrival which is why we have put together this memory box hamper packed with all the essentials and thoughtful extras to help mum and dad navigate through the roller coaster first few weeks and months. Vaseline – a gentle alternative rather than doctors and nurses applying pressure to stop any bleeding caused by the many needles baby is poked with. BabyPrem mittens – premature babies have no control over their movement but tend to grab things and pull, mittens will help prevent little hands grabbing things they shouldn’t! BabyPrem vest – this vest is designed so that it is easy to put on, it provides outlets for all the wires attached to monitor baby and, if necessary, the well placed poppers allow the doctors and nurses quick and easy access. 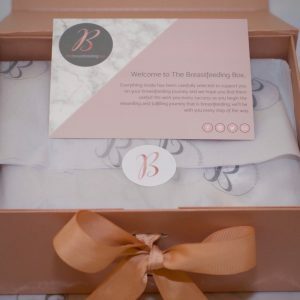 Muslin cloth – can be used to make up babies bed and get them familiar with the smell of home. Also they can come in very useful when feeds are introduced! £1 from every box will be donated to premature baby related charity. Check the blog for updates on which charities!